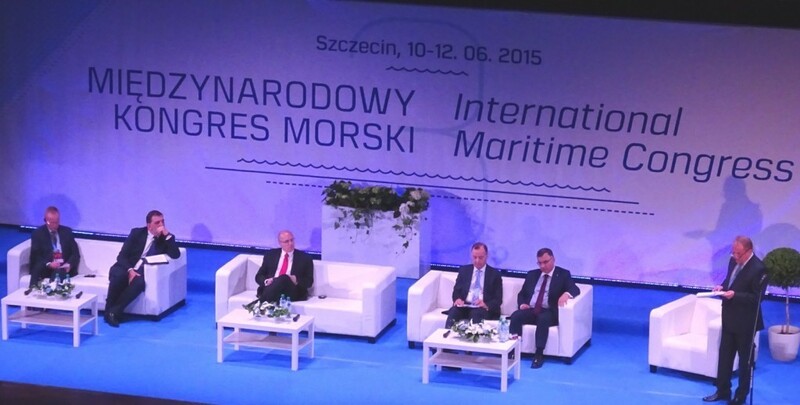 The International Maritime Congress in Szczecin was held between 10 and 12 June 2015. That international event attracted politicians, businesses, academics and representative of international organisations and NGOs. 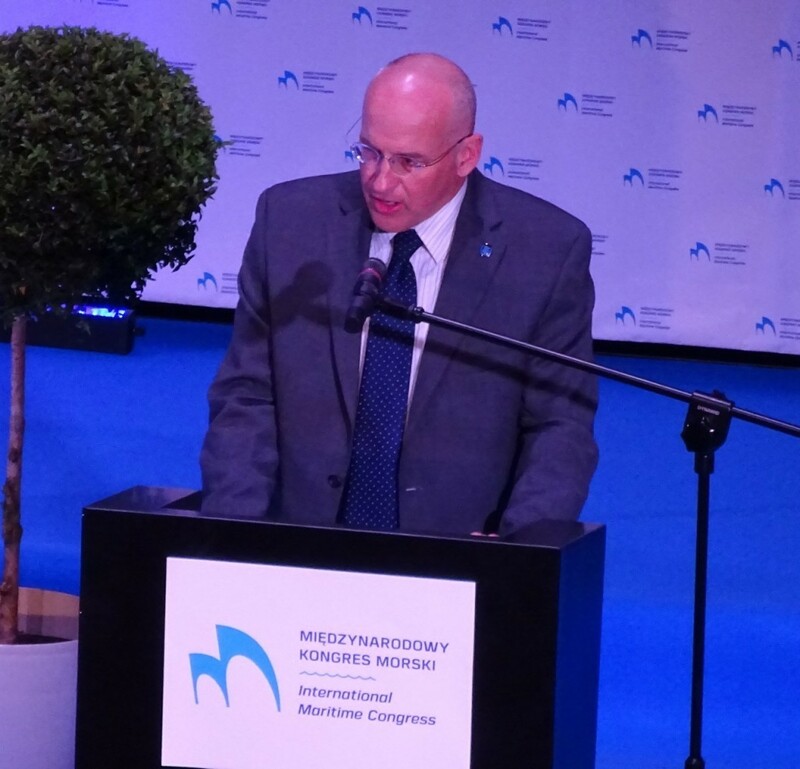 The Congress is intended to be a new platform developed to support international cooperation of all stakeholders involved in the maritime economy. It is a forum to promote discussion on international maritime matters. Use of energy resources in Polish marine areas. 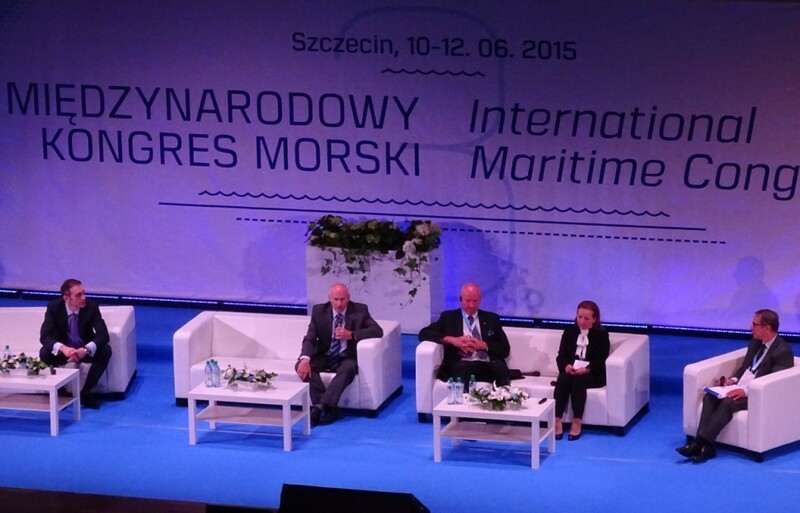 European Union – hindrance or driving force for developing maritime industry? Why do we need the sea? Why do we need the sea? involved the following participants: Fred Kenney (Director, Legal and External Affairs at International Maritime Organization), Markku Mylly (Executive Director, European Maritime Safety Agency), Anna Wypych-Namiotko (Polish representative at IMO), Paweł Banaś (head of department at the Ministry of Infrastructure and Development). IMO as a global system of shared responsibilities. Shipping is an international and global concern. Indeed, it is the lifeline of humanity. That is why shipping must have a global system for the implementation of global standards adopted at the IMO. This system of shared responsibilities includes many participants, including governments, the industry itself, the governmental and non-governmental organisations, academic institutions, and other entities with ties to the global ocean. This system provides a level playing field to the shipping industry. The IMO is the global organisation charged with developing standards for safe, secure, environmentally protective and sustainable shipping. … Shipping is so vital to the world being the most cost efficient mode of transportation for large quantities of goods. So as so you can see, the entire international regime is largely complete. What remains to be done and what the focus of IMO in the coming years will be implementation of that regime. And that is a significant work area … The implementation of them worldwide is not consistent. On 4 June 2015 the European Commission launched a public consultation on international ocean governance. The aim of this consultation is to gather input on how the EU could contribute to achieving better international governance of oceans and seas to the benefit of sustainable blue growth. On the basis of the results and other sources of data and information, the European Commission will consider how best to develop a more coherent, comprehensive and effective EU policy on improving the international ocean governance framework. The Commission emphasizes the importance of oceans for the EU economy which employs more than 3.6 million people. Approximately 90% of the European Union’s external trade is carried on sea routes [see consultation document]. Simultaneously, the current legal framework is ineffective and does not ensure sustainable development and management of marine resources. a lack of knowledge about the oceans. The Public Consultation on Ocean Governance started on 4 June and will run until 15 September 2015. Please use the following link to obtain more information on consultation procedure and submission rules.